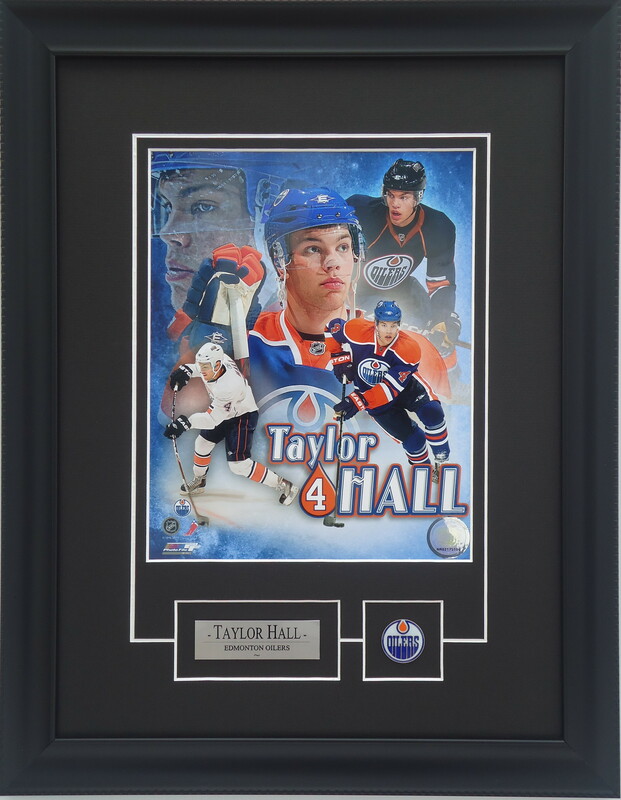 8 X 10 Photo frame of Taylor Hall – Edmonton Oilers. Hall won Memorial Cup championships in 2009 and 2010 with the Windsor Spitfires. He was the 1st overall pick in the 2010 NHL Entry Draft. Plate reads: “Taylor Hall – Edmonton Oilers”. Authentic Edmonton Oilers team pin attached. Please contact for pricing. 8 X 10 Photo frame of Steven Stamkos – Tampa Bay Lightning. Selected 1st overall in the 2008 NHL Entry Draft, Stamkos delivered in his second season (2009-2010) by scoring 51 goals. Plate reads: “Steven Stamkos – Tampa Bay Lightning”. Authentic NHLPA “Stamkos” Tampa Bay Lightning team jersey pin attached. Please contact for pricing. 8 X 10 Photo frame of Jordan Eberle – Edmonton Oilers. Eberle won gold in 2008 at the World Junior Hockey Championships. Jordan was selected 22nd in the 1st round of the 2008 NHL Entry Draft. 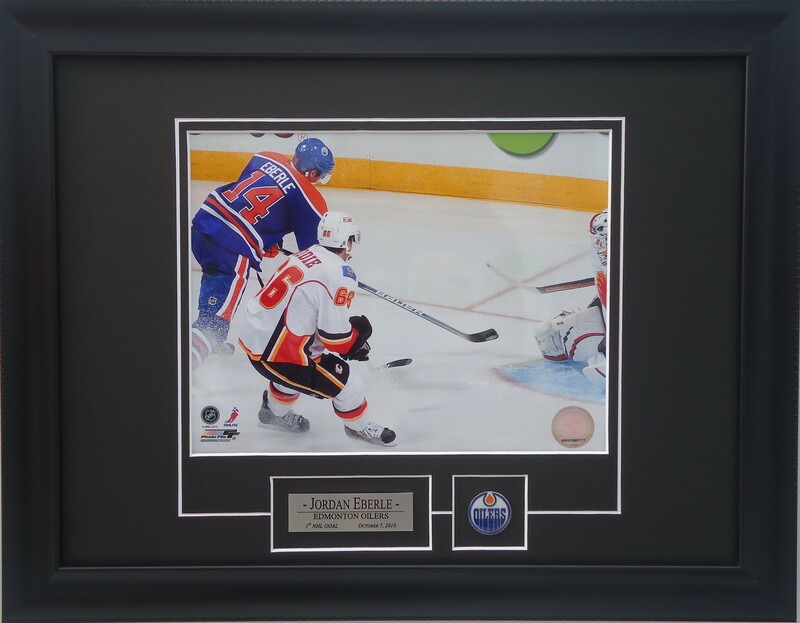 Plate reads: “Jordan Eberle – Edmonton Oilers 1st NHL Goal October 7, 2010”. Authentic Edmonton Oilers team pin attached. Please contact for pricing. 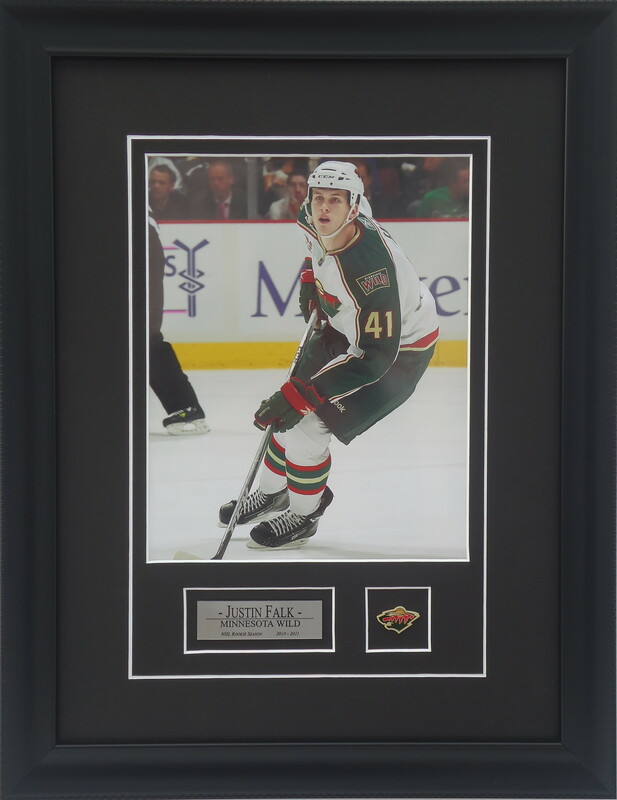 8 X 10 Photo frame of Justin Falk – Minnesota Wild. Justin Falk is from Snowflake, Manitoba. He was selected in the 4th round, 110th overall, in the 2007 NHL Entry Draft. This photo is from his rookie season with Minnesota in 2010-2011. Plate reads: “Justin Falk – Minnesota Wild – NHL Rookie Season 2010-2011”. Authentic Minnesota Wild team pin attached. Please contact for pricing. 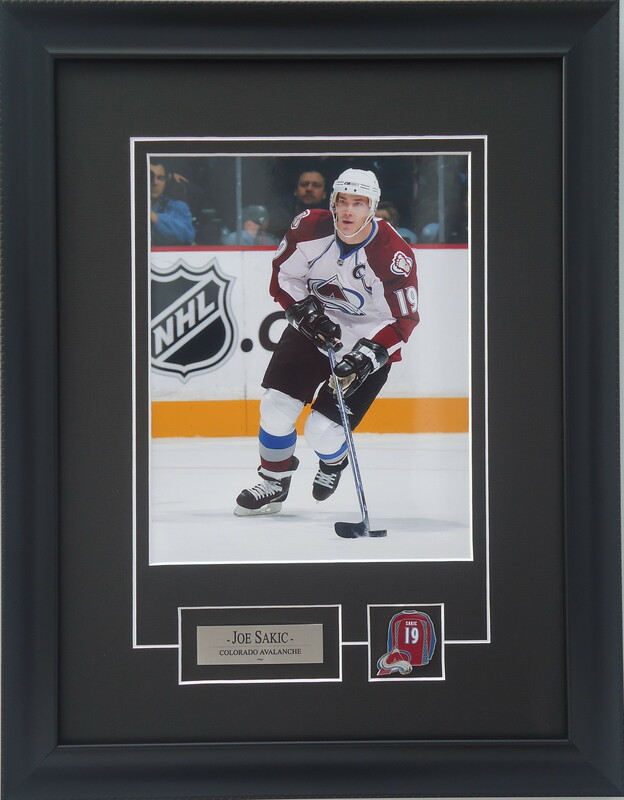 8 X 10 Photo frame of Joe Sakic – Colorado Avalanche. With a wrist shot considered one of the best in the NHL, Sakic was one of the most productive forwards in the game. Sakic won Stanley Cups with Colorado in 1996 and 2001. He led Canada to an Olympic Hockey Gold Medal at Salt Lake City in 2002 and was voted tournament MVP. Sakic retired from the NHL in July of 2009. Plate reads: “Joe Sakic – Colorado Avalanche”. Authentic NHLPA “Sakic” Colorado Avalanche team jersey pin attached. Please contact for pricing.